Depression is a common and difficult ailment that plagues thousands of people. Depression is more than just mood swings, it can grow to be a powerful force that can present physical complications like fatigue as well as aches and pains and difficulties engaging in daily routines. Depression has many signs and symptoms and can be treated. Counseling gives those that are suffering from depression healthy solutions and positive methods of tackling the disease. Depression is a common mood disorder. It can become quite serious and cause major complications in both a person’s mental and physical state. It affects how a person feels, thinks, operates, and handles basic day-to-day activities. Depression can take on many different forms such as persistent depressive disorder, psychotic depression, clinical depression, bipolar disorder, and perinatal depression. Depression can be caused from abuse, trauma, specific medications, death or loss of a loved one, genetics, substance abuse, illness, social isolation and many other factors. Depression has many signs and symptoms that will be prevalent with someone who is struggling with the disease. A person may experience mood swings, anxiety, hopelessness, guilt, and a loss of interest in activities. They may also experience lack of sleep including insomnia or restless sleep. Weight gain or weight loss may occur and other physical ailments like loss of appetite or fatigue may be present. Signs of mental and behavior struggles can also occur. Agitation, excessive crying, and social isolation can be caused by depression. Lack of attentiveness and motivation can occur and thoughts of suicide are also a common symptom of depression. Depression can be treated no matter how severe it is. The earlier the individual starts seeking help, the more effective the treatment will be. Depression is generally treated with individual therapy, including psychotherapy or medication or a combination of these therapies. Depression affects each person differently, so treatment and therapy will be customized to that person’s specific needs. Antidepressants are types of medication commonly used in the treatment of depression. They help you brain balance certain chemicals as well as improve moods and control mood swings. They should only be used if prescribed by a licensed, professional counselor or doctor. Psychotherapy is another form of treatment that has been proven to be highly effective in treating depression. Counseling and psychotherapy can help the individual that is suffering from depression in many ways. First, it will help the person understand what depression is and how it is affecting them. They will be able to pinpoint their symptoms and understand why they are occurring. The counselor will help the individual come up with a plan, including wellness goals and help them to reach these goals. The individual will also learn how to cope and overcome stress as well as insecurities, past trauma, and fears that feed depression. The person will be able to identify mood swings and separate them from their true self through education and learning techniques the counselor can provide. They can also identify triggers that may cause replaces which can help prevent depression from returning and will also give the person a more positive outlook on life as well as themselves. 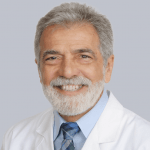 A well-respected and beloved psychologist with over 30 years of experience, Dr. Michael Caruso works for the Texas Health & Counseling Group in the Dallas/Fort Worth area. With a specialty in the psychophysiology of pain, Dr. Caruso is a graduate of East Texas State University/Texas A&M commerce.